How long could I expect VS721 to stay on my J105 sailboat in salt water? I race it at least once and usually twice a month, so the bottom is wiped, not scrubbed or sanded, by a diver before each use. How often would I need to re-haul and recoat with VS721? 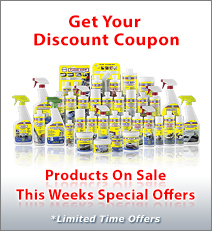 VS721 Bottom Coat will last up to 1 year when applied and maintained properly. 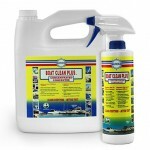 Periodic wiping with a Marine Power Mitt or sponge will keep the bottom clean, smooth and slippery and will optimize performance. Longevity will depend on factors such as local water and marine growth conditions and expected performance benefits. Performance will diminish slightly as the product ages. Performance benefits on racing sailboats include better top speed, better acceleration, ability to point higher, better light air performance, easier and faster tacking, and reduced stress on the boat. 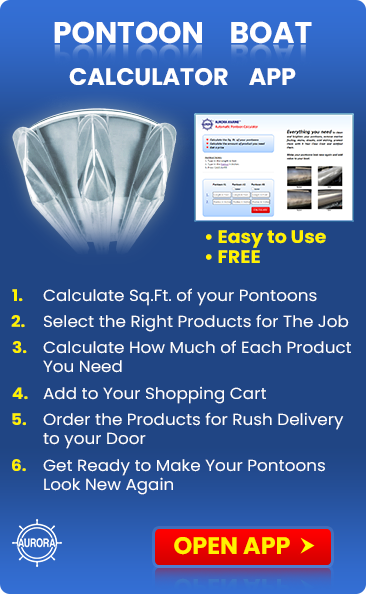 These benefits are difficult to quantify on sailboats and are based primarily on customer feedback which is subjective at best, but there have been too many positive reports over the years to ignore them. 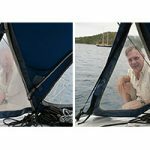 The general consensus is top speed increases of ¼ to ½ knot (although there have been some claims of much better speed increases) and the difference between sailing or not, in variable or light winds. 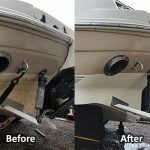 Sales on VS721 Bottom Coat are up 450% year over year which also tells us that boat owners like it enough to continue using it. We do know that the friction on the hull is reduced by 16% at 20 mph, based on independent testing. On racing powerboats (easier to measure the performance benefits) it’s durable enough to withstand speeds of up to 145 mph and stay on for at least 6 months. It has been credited in helping win the APBA World Championship, National Championship and numerous other championships and awards. In addition some of the rules had to be changed as boats in lower classes were beating boats in faster classes. As you know racers tend to keep their performance benefits secret, lest the competition find out and use the same benefit to their advantage. 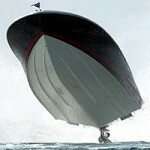 The numerous championships that we are aware of were on sponsored boats that we could monitor. In match racing, the boats are as equal as possible and the biggest difference is the skill and ability of the racer and crew plus all the luck you can lay your hands on, of course. After that it is all the small benefits that give one boat an advantage over another. VS721 Bottom Coat is one of those significant small benefits. More races are won by seconds than by hours. In the beginning, professional power boat racers were applying VS721 Bottom Coat before every race in order to squeeze out every possible benefit and leave nothing to chance. But, they soon found out that there was no discernable difference and then limited re-application to about 3 or 4 times a season. Even this may be excessive. In your case, if it’s about winning, re-application should take place when you start to notice a drop in performance or when the boat starts to feel a little heavier than it used to. 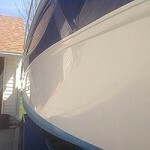 If you’re used to sailing with bottom paint, you will notice the difference when you switch to VS721 Bottom Coat. The boat will feel lighter and more nimble. As one sailor put it, it gave my boat a New Boat feel.